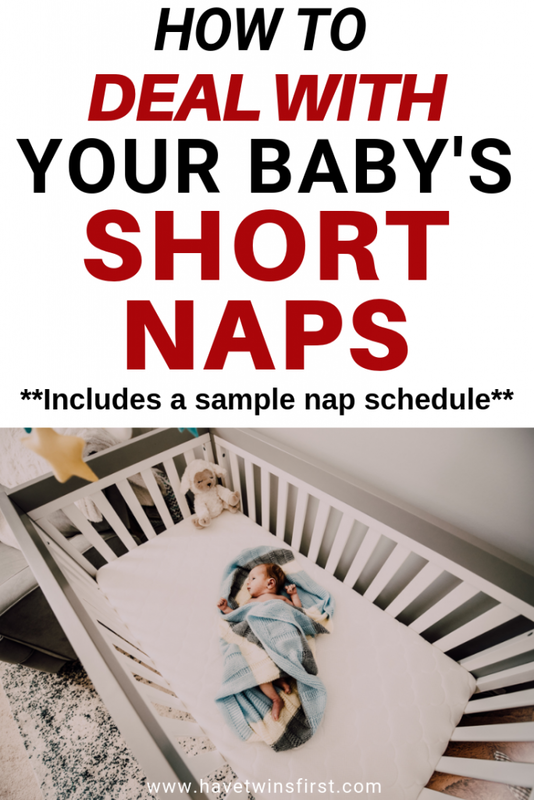 Is your baby taking short naps? Around 2-3 months old two of my three children started taking short naps seemingly out of the blue. I thought for sure something was wrong. 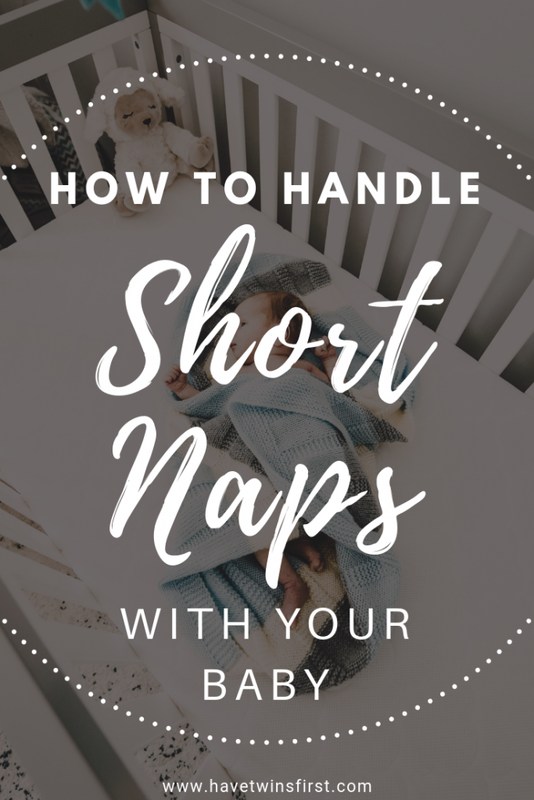 Read on for tips on how to deal with 3 month old short naps. Plus, find out why this is no cause for concern. If you google babies and sleep schedules, you will get a wide variety of information. Most of what I found for a sample 3 month old sleep schedule was not what my babies were doing. This led to needless worrying that my children would never be good sleepers. 2 out of 3 of my children took catnaps throughout the day from 3-6 months old. However, by 6-7 months they had grown out of this habit. So, if you have been worrying about short naps, there is a light at the end of the tunnel. As newborns my children would at least take some long naps throughout the day. But, around 3 months old, short naps became the norm. This brings up the question of how a short nap is defined. For babies, a short nap is anything less than 1 hour of continuous sleep. A lot of information out there indicates short naps are bad for babies and you need to do something to intervene. Well, I can tell you from firsthand experience, if your baby is younger than 6-7 months, there is a good chance they will just naturally grow out of it. When your baby is taking short naps, it’s hard to establish a schedule. One thing that is reliable is the expected time between naps. 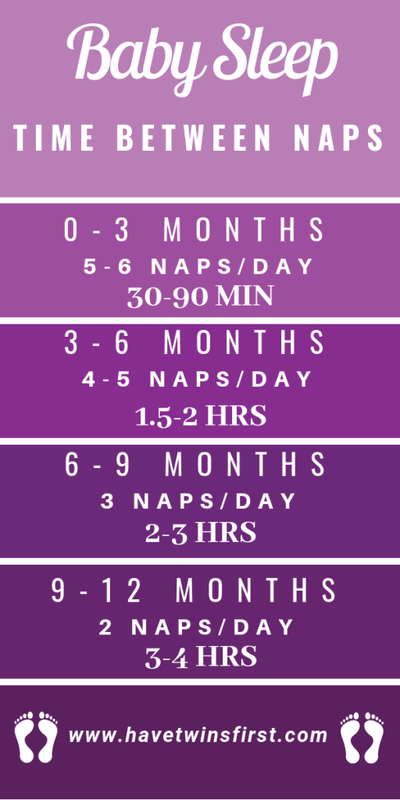 The chart below shows you how many naps to expect per day and how long the time between naps should be for the first year of your baby’s life. As shown on the chart, at 3-6 months old, you can expect 4-5 naps per day and approximately 90 minutes between naps. The 90 minutes starts when your baby wakes up from a nap. Even if your baby only takes a 20 minute nap, you can still expect the time between naps to be about 90 minutes. Is Your Baby Sleeping At Night? Another area to consider is your baby’s nighttime sleep. 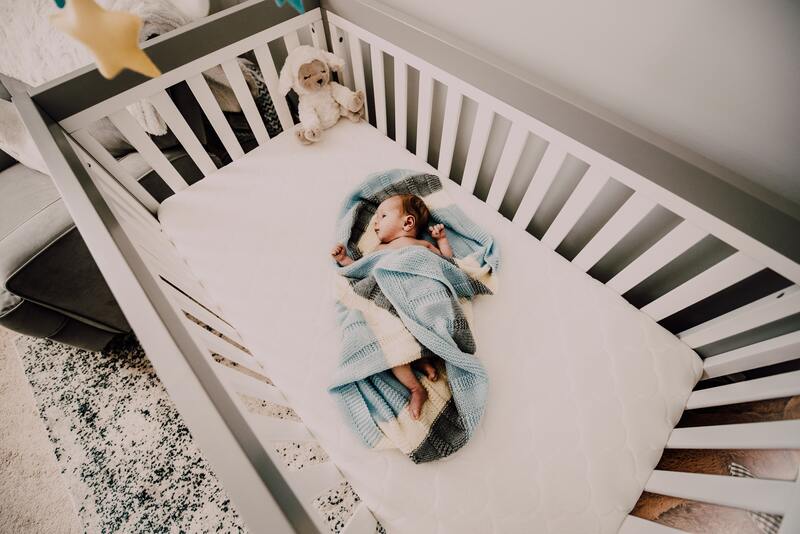 If 3 month old short naps are stressing you out, but this same baby is sleeping well at night, then that’s one more reason to give yourself a break. For my 3 month old short nappers, they were still getting a dependable 5-7 hr stretch of sleep at night. I would always opt for short naps if it meant getting in a long stretch at night. If you have a happy baby that is sleeping well at night, just wait out this 3-6 month phase. The napping schedule will become more dependable around 6 months when your baby transitions to a 3 nap per day schedule. What if you have a 3 month old with short naps who is not sleeping in a long stretch at night? The good news is I pretty much have the same advice. Wait it out to 6 months old. Your baby’s sleep schedule should become more predictable. If you are still struggling with baby sleep come 6 months, your baby is now old enough to try some sleep training. The closer to 6 months that you do sleep training the easier and faster it will be. You are probably wondering what to expect once your baby reaches the 6 month mark. For my kids, at 6-7 months, my children started taking a dependable 3 naps per day. One or two of these naps would be long at more than 1 hour and one or two would be short at 30-45 min. Either the first or second nap of the day is the long one and sometimes both of these are long. The third nap is typically short because it’s the last nap before bed. Another thing that would worry me at 3-6 months old was a late bedtime. Some light reading on the internet leads you to believe you are a horrible parent if your baby’s bedtime is later than 8pm. J, one of our twins, used to go to bed at 11pm-1am during these months and I didn’t know what to do. Well, by the time she was 9 months old her bedtime was 8pm and it has remained at that time for 2 plus years. Slowly and naturally from 6-9 months her bedtime inched closer and closer to 8pm. M, our singleton, took a similar path. The biggest point I hoped to make from this post is not to stress over your infant’s sleep too much in the first 6 months. If your baby is happy and their awake times between naps line up with the above chart, you are in good shape. Babies seem to reach a milestone around 6 months, where they have a more consistent schedule and take longer naps. If you found this post helpful please share it on Facebook or Pinterest.